This is awesome. Some spot-on parodies/tributes. And a hell of a lot of effort. You've probably been alerted to this video already by one social media feed or another, because the internet loves CGP Grey. But I thought it was neat and so I am posting it. The dragon is a pretty clear allegory for aging, or at least all the health problems that come along with aging. Solving the problem of aging is a tall order, but we can extend lives by solving other problems... and maybe those extended lives last long enough for the next life-extending innovation, and the next, and before you know it we're all eternal robots with hearts of sapphire. This was actually really good. I dunno how much of it can be easily debunked, but the 30 minutes flew by. If China's really doing what this guy says they are, then we'll all have proof soon enough whether it works. Last edited by Macheath; 05-15-2018 at 12:19 AM. We're all over here wailing about the environment, but you know damn well it's Asia (specifically China and India) who need to step up their game. And holy crap, look at these bar charts. He does a real good job of demonstrating why Interstellar's black hole looked the way it did. I knew they talked to a lot of science folks to come up with that depiction, but I had no clue why the result was what it was. Thar she blows. 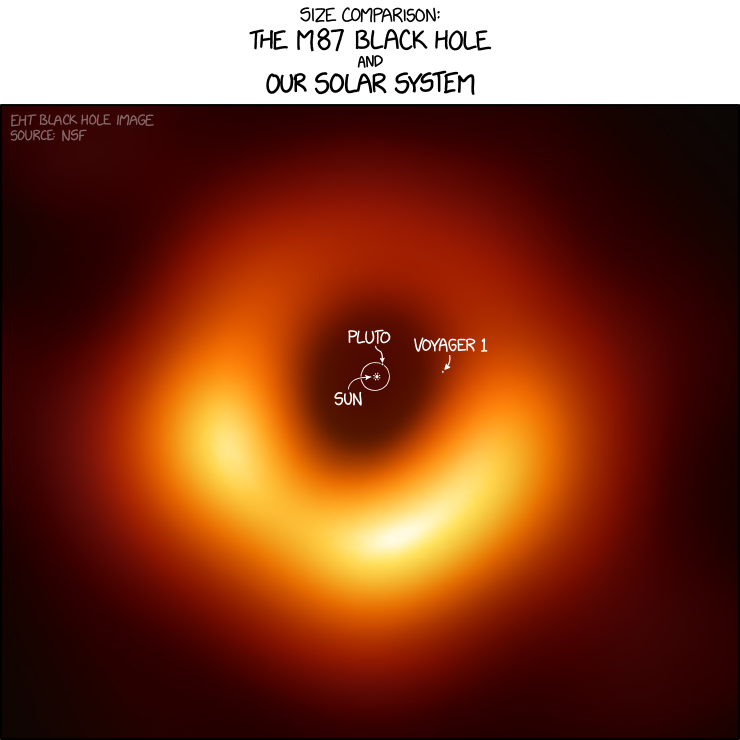 A black hole!